The Patriot 3 CRRC towline allows safe, secure and speedy towing of your inflatable boat. Unlike towing from the rings at the front of the boat, the P3M Towline pulls the boat from the transom and pontoon rears where the boat is less susceptible to damage. This allows for towing at faster speeds and eliminates the risk of ring tear-out which can cause severe damage to the boat. P3M’s Towline is made of durable 2” webbing and stainless steel hardware to resist rust. Stainless steel parts are treated with black oxide for a dulling/darkening effect. 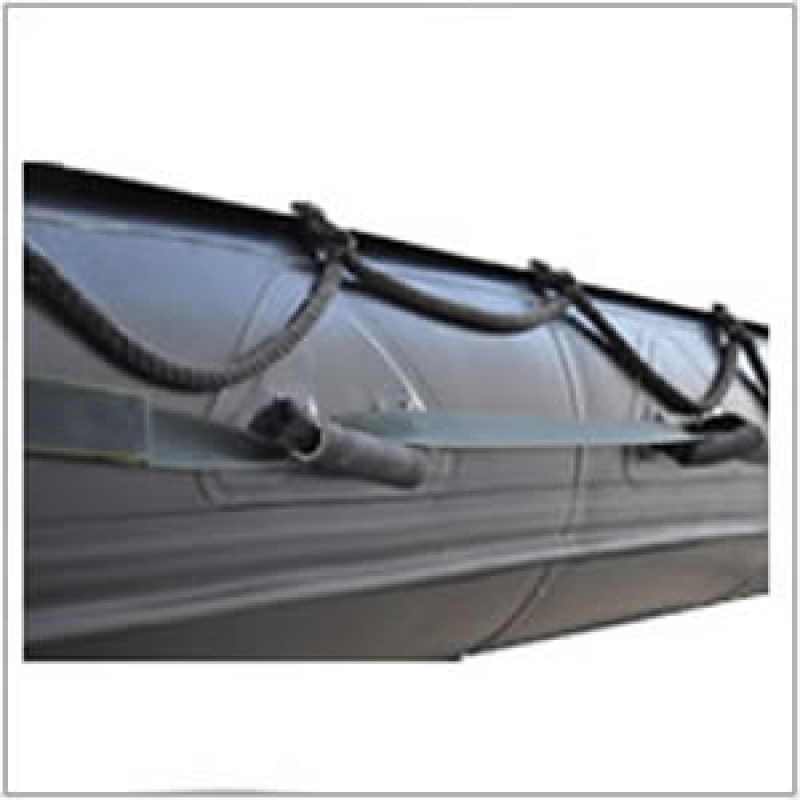 The P3M Inflatable Boat Towline has a 5,000 lb (2,268 kg) tow rating.